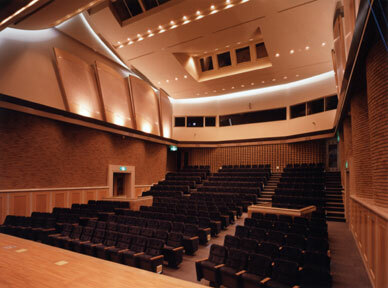 Precious films from Asia, Japanese feature films, documentary films, animation films, experimental films and Japanese films associated with Fukuoka are preserved and exhibited at the Fukuoka City Public Library Film Archive for the purpose of passing on visual art culture to future generations. 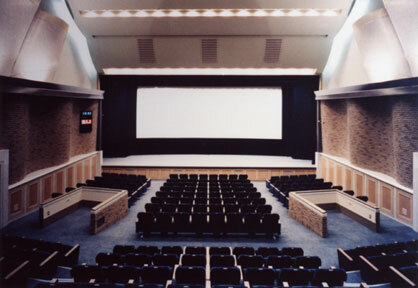 The collection of the Fukuoka City Public Library Film Archive is made available through the "Movie Hall Ciné-là", our exhibition hall which has a seating capacity of 242 and space to seat 4 wheel chairs. The "Movie Hall Ciné-là" is located near the end of the corridor towards the left of the entrance hall on the first floor. You can also reach the "Ciné-là" by entering the sub- entrance of the library. The programming schedule of the Movie Hall Ciné-là can be seen here while information on the Movie Hall Cine-la Web Information Guide is available here.